In June of this year (2013) I had the good fortune to take a trip to Bodhgaya again. 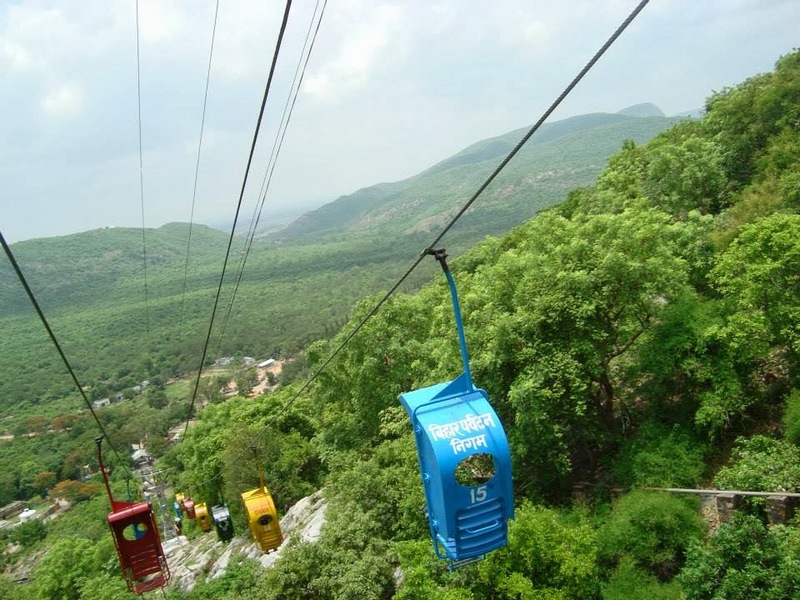 During my stay there I visited the area around Rajgir with the main purpose of visiting Vulture's Peak (Gṛdhrakūṭa) once again. It is a sacred site in Buddhism chiefly because the Buddha himself stayed there for a time, even dwelling in the caves which still remain and are open to the public. The surrounding mountains and valley are protected natural habitats, though Shanti Peace Stūpa atop the mountain built by the Japanese monk Nichidatsu Fujii (my teacher's teacher) is a popular tourist attraction and attracts a lot of visitors who casually discard their litter on the ground. There are also vendors who blast music out of their mobile phones. Nevertheless, I made my way to Vulture's Peak in the hot sun. As I crossed the bridge leading up there the sky turned gray providing refreshing relief. Reaching the top I was pleased to find myself alone. When I visited in 2011 it was during the cool winter, at which time there were plenty of people around. The whole area played a core role in the history of the early sangha and later Buddhist mythology. Many of the formative events of the original sangha happened in this area. I found it quite moving to just sit and survey the area, thinking of all the great figures from the Buddha to all the Nālandā scholars who visited. Going southwest from here one yojana one reaches the village of Nālandā. It is was the birth village of Śāriputra. Śāriputra returned here for his parinirvāṇa. They built a stūpa which is still extant. It seems possible that the Śāriputra Stūpa presently found at the Nālandā site was rebuilt atop the original site which Faxian is referring to here. A lot of the buildings we can presently see at the Nālandā ruins were built atop older ruins. The need for such defenses suggests a strong concern for war. The geography of the surrounding plains is conducive to rapid troop movement. Judging from the Buddhist accounts, there was a great deal of bloodshed in the period around the Buddha's lifetime. Later a new Rājagṛha was built just just north of the valley by Ajātaśatru, son of Bimbisāra, which probably more or less corresponds to the present town of Rajgir. From here going west one yojana one arrives at the new city of Rājagṛha. The new city was built by King Ajātaśatru. In it there are two saṃghārāma-s [monasteries]. Exiting the city's west gate three-hundred steps King Ajātaśatru obtained a part of the Buddha's relics and built a stūpa. It is tall and stately. Exiting the south of the city, going four li south, one enters into a valley surrounded by five mountains. The surrounding five mountains are akin to outer city walls. This was the old city of King Bimbisāra. East to west the city is about five or six li, and south to north it is seven or eight li. It is the place where Śāriputra and Maudgalyāyana first saw Aśvajit. It is the place where the nirgrantha made a fire pit and poisoned rice, and invited the Buddha. It is the place King Ajātaśatru made a black elephant intoxicated with liquor, wanting to harm the Buddha. In the northeast corner of the city the Elder [Jīvaka] built a vihāra in the mango grove, where he invited the Buddha and his thousand two-hundred and fifty disciples in order to make offerings. It is still extant. It is vacant inside the city and nobody lives there. His use of yojana here is important because we can discern his own understanding of the measurement as we know the general distance between Nālandā and Rājagṛha. According to Google Earth is roughly just under fifteen kilometers. Sometimes in his work his directions and measurements are off, but we can assume he was providing us with the details the locals provided or his best estimates. Entering the valley and following the mountains southeast and then ascending fifteen li one arrives at Gṛdhrakūṭa. Three li short of the peak there is a cave facing south. The Buddha once sat here in meditation. Thirty steps to the northwest there is another cave. Ānanda sat in it in meditation. The Māra Pāpīyas manifested as a vulture in front of the cave and frightened Ānanda. The Buddha with his supermundane ability parted the stone and stretched out his hand to touch Ānanda's shoulder. His fear was then halted. The bird tracks and hole for the hand are all still extant. Now they call it the "Mountain of the Vulture's Cave". In front of the cave are where four buddhas had sat. Also the arhats each had their own respective caves where they sat in meditation, amounting to several hundred. The Buddha would walk east to west in front of the caves. From among the steep cliffs of the north mountain Devadatta hurled a stone at the Buddha, injuring his toes. The stone is still extant. The hall in which the Buddha taught the Dharma has been destroyed. There are just the brick foundations. 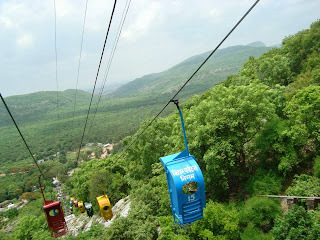 The peak of the mountain has is green with vegetation and beautiful. It is the highest of the five mountains. Both Faxian and Xuanzang took the time to detail many of the local legends and myths in the places they visited. Buddhist bards early on naturally formulated these tales based on earlier stories, both fictional and historical (although admittedly that dichotomy is a modern one), and the sites became further sanctified as a result. I went into the new city and bought incense, flowers and oil lamps. I asked two old bhikṣus to take me to the Gṛdhrakūṭa mountain. With flowers and incense offered and burning lamps bright I sadly wept and wiped away the tears saying that the Buddha long ago taught the Śūraṃgama [Samādhi Sūtra] – I could not meet the Buddha in this life, but could only see vestiges. We recited the Śūraṃgama [Samādhi Sūtra] in front of the cave entrance and stayed the night before heading back to the new city. Yijing also notes that beds inlaid with jewels as well as weapons and armor are to be dealt with as well. That of course begs the question why would a monk possess such items, but nevertheless it seems at least some of the clergy at the time amassed plenty of wealth. Going northeast for fourteen or fifteen li from the palace city, I reached Gṛdhrakūṭa Mountain (known in China as the Vulture peak or terrace, and formerly mistranscribed as as Qishejue Mountain). 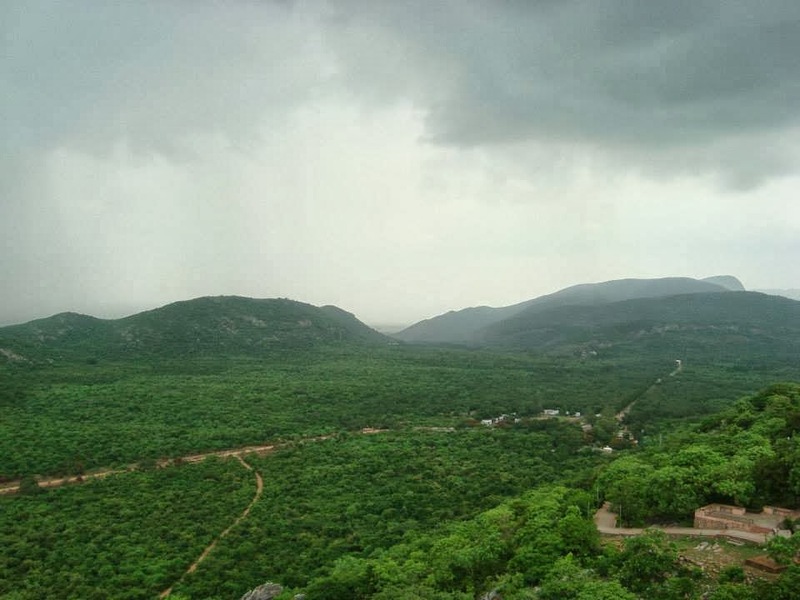 It links with the south side of the North Mountain, protruding all alone to a great height, where vulture's perch, and also resembles a high terrace. The verdurous mountain presents a distinct color in contrast with the sky. During the fifty years of his missionary career, the Tathāgata stayed on this mountain on many occasions to preach the wonderful Dharma. In order to hear the Buddha's preaching, King Bimbasāra sent men to build a road leading from the foot of the mountain to the summit, more than ten paces wide and five or six li in length, across valleys and over rocks, with stones piled up into steps. There are two small stupas on the way. One is known as the place of alighting, from where the king started to walk on foot to proceed on his way, and the other as the place of preventing ordinary persons from going further [with the king]. The summit is oblong from east to west and narrow from south to north. On the brink of the west side of the precipice is a brick shrine, high and spacious, built in a marvellous style, with its door opening to the east. The Tathāgata preached the Dharma in it many times. Now there is a life-size statue of the Tathāgata in the posture of delivering a sermon. The caves he describes, like Faxian, are open to the public. I went and sat inside one of them for a bit and discovered some bats were hanging inside, so I cautiously exited. You can clearly see many centuries of pilgrims have visited the site. The influx of Tibetans in recent times has ensured plenty of stones with carved mantras are left there along with prayer flags strung all around. 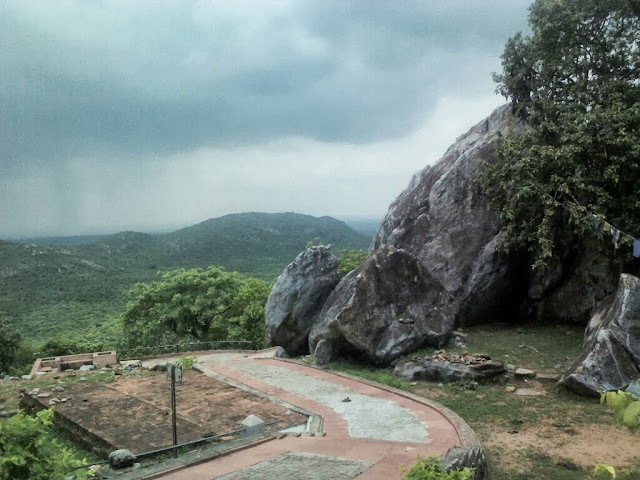 A lot of the protruding rocks which make for good grips when climbing up the peak are polished from centuries of use, though the site seems to have been forgotten for several centuries after the disappearance of Buddhism from that part of India. Incidentally, a long tradition of sacred mountains is found in Mahāyāna literature. One noteworthy example is in the Lotus Sūtra where Vulture's Peak is the site of the Buddha's teachings. In chapter sixteen “The Tathāgata's Lifespan” there are the famous verses where the Buddha declares his omnipresence in the world, which is centered at Vulture's Peak. The relevant part reads as follows. I will then say to beings: I am always here, not perishing. With the power of skilful means I thus manifest perishing and not perishing. In other lands there are beings, reverent and faithful. It is there that I teach the unexcelled Dharma. You all do not hear this, only thinking I have passed away. I see beings drowning in suffering. Thus I do not manifest myself, to make them thirst. When their minds are longing, I then emerge and teach the Dharma. I am always present at Vulture's Peak and other dwelling places. Countless other works highlight the sacred quality of the mountain. This tradition of orienting holy sites on mountains was emulated in China as well. Mt. Wutai came to be associated with Mañjuśrī in the pan-Buddhist world (Indian monks and not just the Chinese in ancient times acknowledged the mountain as Mañjuśrī's earthly abode). I always find it interesting to compare these ancient accounts to what is presently extant. In an earlier post Revisiting Ancient Buddhist India we looked at some period accounts of Kushinagar, Kapilavastu and Lumbini. When you visit these places and know this history, the whole experience is far more enriching. I also feel it is a way of connecting to past figures in a spiritual sense. When I read the works of Faxian and Xuanzang, for example, I am always reminded of the same places we visited, albeit in different centuries. 1 English translation by Li Rongxi. See Buddhist Monastic Traditions of Southern Asia (Berkeley, CA: Numata Center for Buddhist Translation and Research, 2000), 157-161. 2 English translation by Li Rongxi. See The Great Tang Dynasty Record of the Western Regions (Berkeley, CA: Numata Center for Buddhist Translation and Research, 1996), 270-271. Wonderful. I love the mix of modern and ancient pilgrims observing the same site. It's ten years since I was there and at the time I was not entirely well. One curiosity in the account of Faxian. "Three li short of the peak there is a cave facing south. The Buddha once sat here in meditation." I think this must refer to the cave you mention finding bats in. I myself went in their to escape the insistent hawkers and found it wonderfully cool and peaceful. But 3 Li is quite a long way isn't it? The cave we are thinking of is probably less that 50 meters from what we think of as the Vulture's Peak nowadays. Also Xuanzang says "It links with the south side of the North Mountain, protruding all alone to a great height" - which doesn't really describe the present peak, does it? Like you I have viewed the area in Google Earth. It makes me wonder if the peak has moved over time. It seems to me that where the stupa is would be the peak. Or perhaps the peak to the east. I wonder what you think. It ought to be no surprise to find Faxian using money. Greg Schopen has long since pointed out that in virtually every Buddhist monastery excavated coins have been found. And in one a coin mint was discovered. The wealth of Chinese monasteries in the Tang period has been described as "incalculable". One of the Changan monasteries records a donation of a billion copper coins. In addition they were involved in money lending and other business ventures. Eventually the government got so poor in comparison that it had to sack the monasteries to stay solvent I think. Anyway, thanks again for this post. Wonderful. In Chinese Faxian writes 未至頭三里有石窟南向佛本於此坐禪. Here 頭 would normally mean head, neck or top, so I understand it as 'peak', as in the peak of the higher mountain where the Peace Stupa is currently positioned. Legge translates this as "Three le before you reach the top, there is a cavern in the rocks, facing the south, in which the Buddha sat in meditation." It is possible the three li is a scribal error. Quite often this happened in ancient times with handwritten manuscripts where errors were replicated and seldom revised for lack of abundant copies. Or quite possibly it was an error in Faxian's recollection. He compiled his travel log after returning to China. By his own admission he only spent a night at Vulture's Peak and was brought there by some monks. This would be an understandable mistake on his part, trying to recall distances several years after the fact (and he was getting advanced in age). This might actually explain why the directions and distances he provides are often off. As the sign at Vulture's Peak describes (under all the tarnish and weathering), the ancient remains extant there correspond closely to what Xuanzang describes, so the site is almost certainly the same place. I think what we think of as Gṛdhrakūṭa now could have corresponded to the whole mountain, including the peak where the stupa is and the platform-like area with the caves underneath. The cave area is, as Faxian notes, "Mountain of the Vulture's Cave". I'm not so surprised at the use of money, but as a monk who sometimes hears from Vinaya proponents how "monks don't use money" it is interesting to see ancient examples of monks at leading institutions in fact using money freely, and even amassing a lot of it. I mean I use money. I think it would be impractical and unreasonable to avoid it, though figures like Ajahn Brahm are insistent about it. Incidentally, if you can go to Nalanda and Vulture's Peak in the tourist low season (basically, summer when it is broiling), you'll find minimal tourists, hawkers and beggars. However, when I was at Nalanda two staff and three or four security surrounded me with their batons in hand and asked for "tips". I laughed at them and took their photos before proceeding to the office where I reported them all.